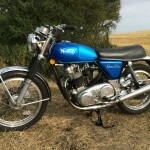 Restored 1974 Norton Commando Motorcycle. 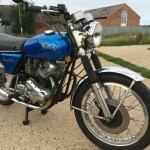 This Norton was restored from a basket case by its owner. Every last part was overhauled and restored. 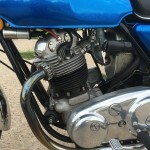 The head was reconditioned with bronze exhaust thread inserts, new guides and valves. The barrels were re-bored to first oversize. The crank was stripped, checked, cleaned and balanced with new mains. A standard camshaft was fitted. 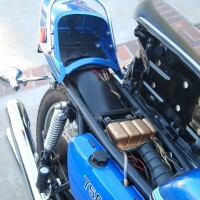 Boyer electronic ignition and a 3 phase alternator was fitted. 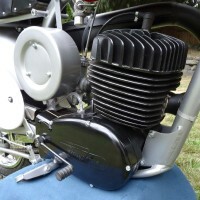 New amal premier carbs were added. The original GRP fuel tank was damaged so it and the side panels were replaced with genuine steel items. 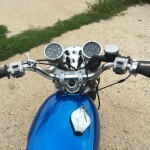 These were repainted in the original fireflake royal blue. The wheels were rebuilt with flanged alloy rims and stainless spokes. 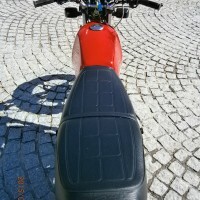 The original mudguards were re-chromed. The instruments were reconditioned by Speedograph Richfield. A really nice restored Norton Commando in daily use. 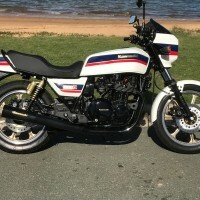 Norton Commando Combat – 1974 For Sale or Wanted? 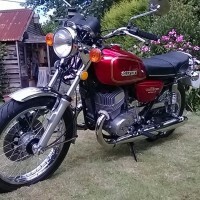 If you're looking for the perfect Norton Commando Combat – 1974 for sale then take a look at the hundreds of restored classic motorcycles listed on our extensive Motorcycles For Sale pages. 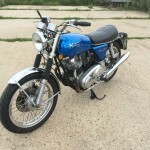 We regularly feature very nice restored Norton Commando Combat – 1974 bikes for sale. 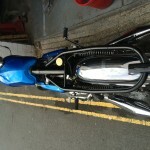 Spares and Parts for your Norton Commando Combat – 1974? Workshop Manual for your Norton Commando Combat – 1974?